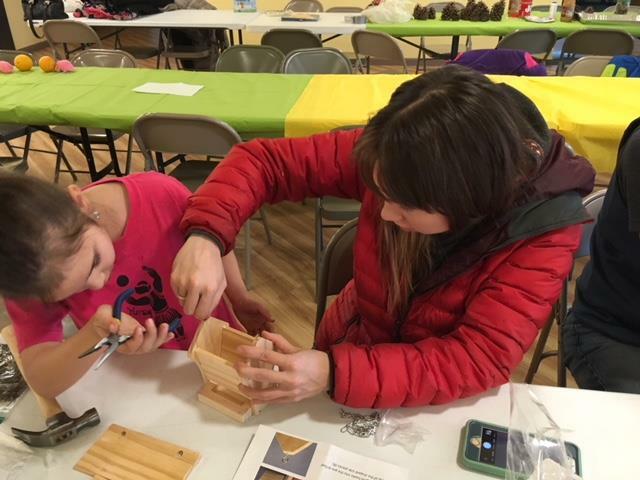 Thank you and the Friends group for the contribution to the Togiak NWR Bird Feeder Building project this year. We had great fun with the kids and the adults too. 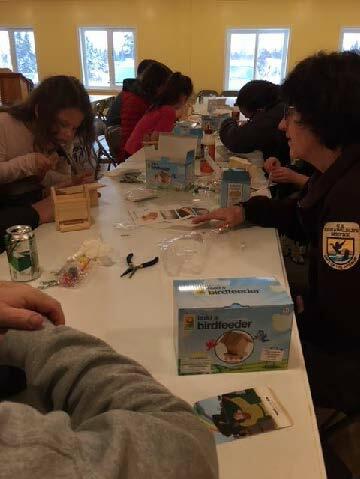 Through these community events, we hope to educate people about our hardy winter birds and inspire interest in citizen science projects like Feeder Watch and the Christmas Bird Count. We held the event on the weekend before Thanksgiving and it was well attended. In the first photo, you can see a handout we made picturing the most common feeder birds in Dillingham and a baggie of birdseed with the Friends and the Fish and Wildlife logos. These were included with each feeder kit. 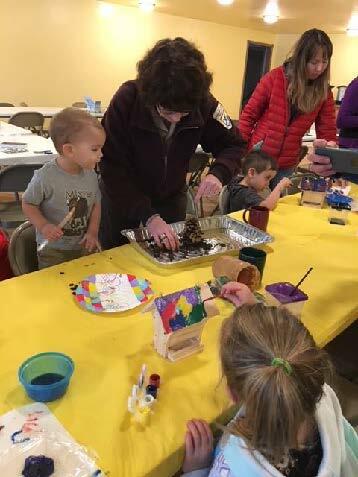 For the littlest kids, we provided a pinecone finger painting project with some creamy peanut butter as the artistic media. Most of the peanut butter ended up on the pinecones as planned to stick the seeds in place. 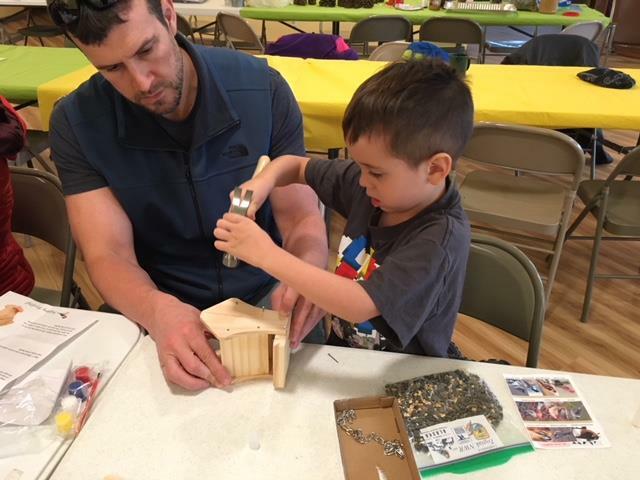 A creative outlet with some brightly colored paint and tablecloths always help brighten spirits on winter days, as does watching feeder birds from a cozy spot inside a warm house. Thank you again for your contribution to this event. It was enjoyed by all!